Sunglasses have evolved over the years. 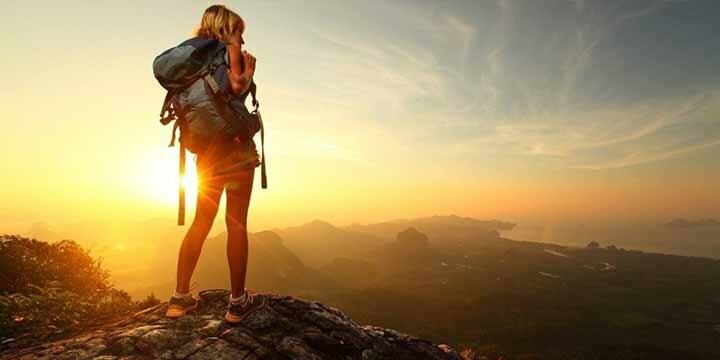 These must-have staples are no longer just something that protects our eyes from the sun; they are a fashion statement. 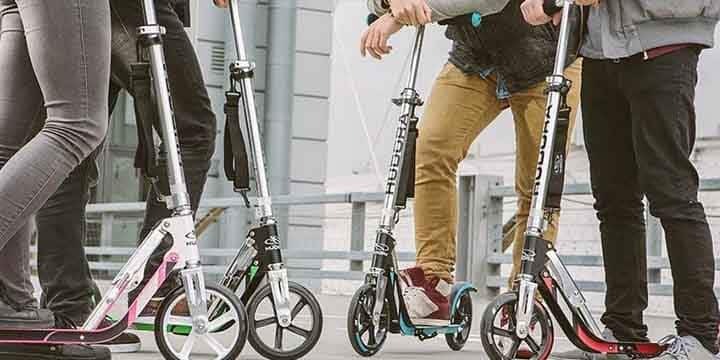 It is challenging to keep up with all the new designs that brands keep releasing in the market. But, luckily for you, we have sampled the best sunglasses for both men and women. After long hours of research, we have come up with 9 of the best sunglasses on the market. The glasses were selected based on their durability, functionality, and of course, their unique design. Without further ado, here are the top 9 best sunglasses for men and women. 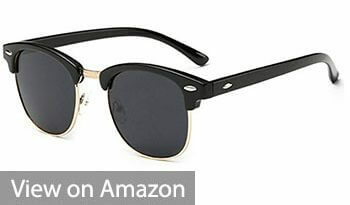 This unisex pair of sunglasses can be worn by both men and women. 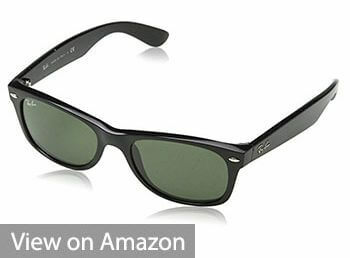 The Ray-Ban features the shape of the original wayfarer. It is basically a smaller version of the original style, except it has a more modern look and a softer eye-shape. The classic color lens gives the sunglasses a more versatile look. The sunglasses are non-polarized. They have a UV400 coating that provides your eyes with 100% protection from the UV rays. The lenses also transmit all the colors equally. If you wear prescription glasses, then you’d be thrilled to know that these sunglasses are Rx-Abled. The nylon fiber frames of the sunglasses are flexible. This makes them easy to adjust. The sunglasses also have plastic arms and nose guards that are comfortable. This is by far one of the best sunglasses for men. 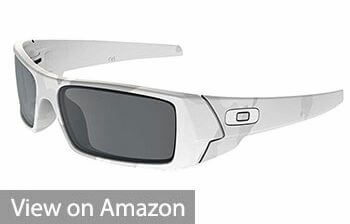 Oakley uses the High Definition Optics (HDO) technology to ensure that the sunglasses are clear. This technology also makes the sunglasses to be impact-resistant. It has a plastic lens and frames. The frames have been designed in such a way that they contour to your head. 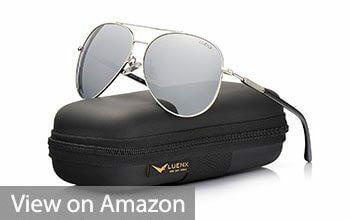 They also have non-polarized iridium that helps to keep the lenses in place. Gascan sunglasses are constructed from an O-Matter material. 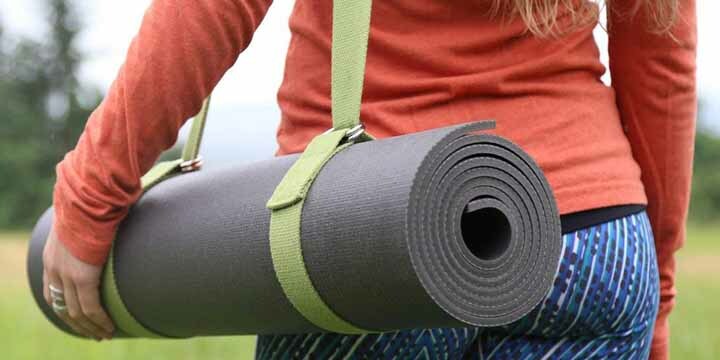 Not only is the O-Matter material resistant to stress, but it is also durable and lightweight. The stylish design on this military style glasses is perfect for both men and women. The sunglasses have a Flash Mirror Lens. This is a reflective coating that minimizes glare from sunlight. The lenses have UV400 Protection. This means that it can block up to 100% of UVA and UVB rays. 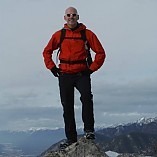 The J+S aviator glasses are great for water sports activities as well as other outdoor activities such as driving, skiing, hiking and traveling. 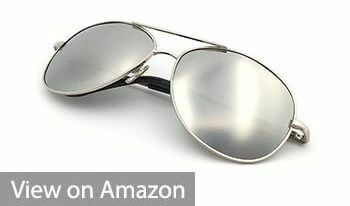 The frame of the sunglasses is made from a metallic alloy. 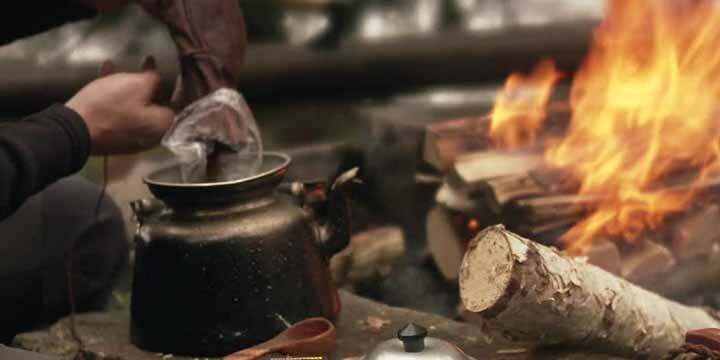 This material is lightweight, yet durable and strong. The frame has a flexible nose pad that can be adjusted to maximize comfort. If you frequently engage in various outdoor activities, then these sunglasses will be a perfect fit for you. The sunglasses are ideal for fishing, driving, motorcycling, running, skiing and any other outdoor activities that you can think of. The glasses can be worn by both men and women. Duduma sunglasses have come a long way. After customers complained about the poor quality of the previous version, the brand revamped their glasses. The frames on these sunglasses are made from a durable material called polycarbonate. 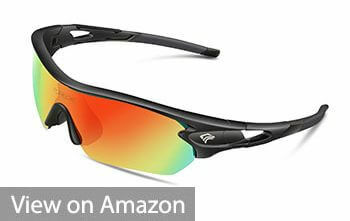 The company also used TAC Polarized Lens. The lens has 7 layers to ensure they are strong. The layers prevent the lens from peeling off, unlike the previous model. The lenses come in many colors that you can choose from. Additionally, it has UV400 that protects your eyes from UVB and UVA rays. The glasses come with a hard case, cleaning cloth and pouch. 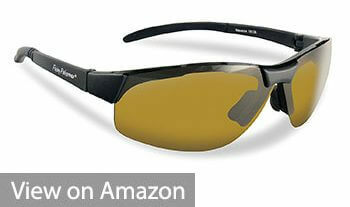 Torege sunglasses are yet another great glasses for those people who like to engage in outdoor activities. 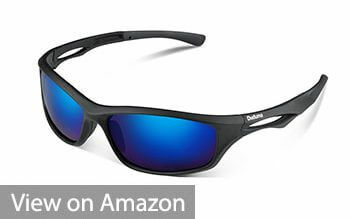 The sunglasses are lightweight to ensure you perform any outdoor activity with ease. The sunglasses are also perfect for both men and women. It has 5 interchangeable lenses. All the lenses are coated with UV400 protection that blocks UVA and UVB rays. In addition to this, they also eliminate reflected and scattered light. The lens of this glasses has diverse color combinations that you can choose from. The classic shape and the vintage-inspired frame make this the best sunglasses for women as well as men who like classy eye-wear. The semi-rimless style takes these Joopin sunglasses to a whole new level. The sunglasses have 9 layers. Each of these layers contributes to the durability of the glasses. They also have a polarized lens and a resin frame. The UV400 provides 100% protection against harmful UVA, UVB and UVC rays. The glasses have HD Polarized lens that is resistant to impact and scratches. If you have a sensitive skin, then these glasses are your best option. These unisex sunglasses have anti-oxidant plating frames that are harmless to the skin. The material on the frame is hypoallergenic while the nose pads are made from materials that are skin-friendly. The nose pads are elastic. This makes it easier for you to adjust them. It has the UV400 protection that blocks glares. The High-definition lens gives clear vision when you are driving or when you’re engaging in outdoor activities. The arm of the glasses is both lightweight and tough. Just like the nose pad, it is also elastic. The sunglasses come with a zip-up case, soft bag, a gift package and a clean cloth. These are one of the best sunglasses for men. The glasses have polarized lenses that eliminate glare, thus protecting your eyes. The lenses are also scratch and impact resistant. The lens of these sunglasses has an AcuTint coloring system. What’s interesting about this system is that despite it helping in color contrasts, it still maintains the natural colors. The lenses absorb glare but do not distort natural color. This results in the sunglasses having a clear vision. The glasses also provide 100% UVA and UVB protection. This list would not be complete without a wooden-frame sunglass. These sunglasses have become popular due to their unique design. The Woodies Wayfarer glasses are unisex. The arms of these sunglasses have been hand-made from walnut wood. This material is what makes the sunglasses to be lightweight. The hinges are made from stainless steel and have double springs. The glasses have anti-reflective lenses and it offers 100% protection from UVA and UVB rays. 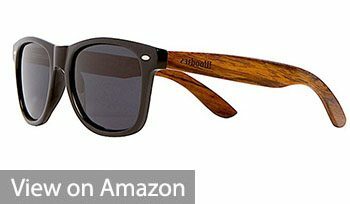 These classic sunglasses come with a Wood Guitar Pick, carrying case, and cleaning cloth. Long before now, sunglasses were only worn to protect the eyes from the UV rays of the sun but things have changed slightly over the years. It is now worn for fashion. This is because a lot of men look better with sunglasses than without it. You should have observed that some people wear sunglasses even in places where there is no sun. 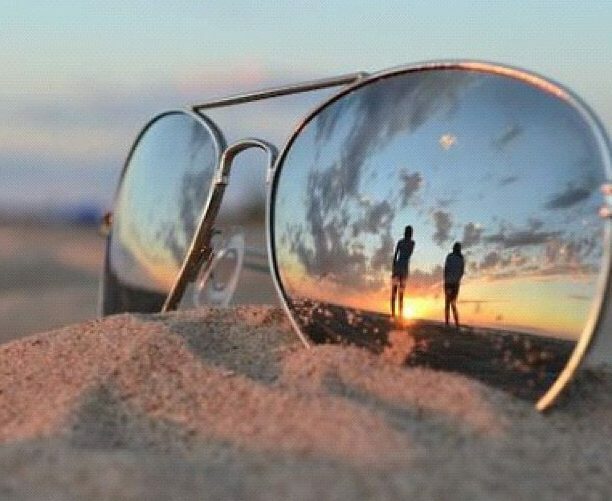 Due to the increasing demand of sunglasses, there is a lot of types, shapes and designs of sunglasses in the market now. This gives more options for buyers and it also makes it difficult to make a good choice. Here is a buying guide for men. 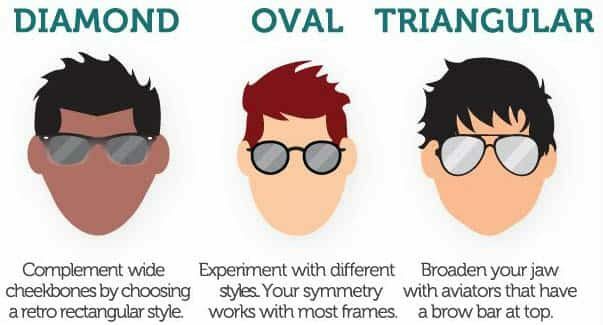 If you follow this buying guide in the choice of your sunglasses, you will always make a good choice. The way a pair of sunglasses fits your face affects its look, your look, and its effectiveness in shielding the rays of the sun. It is always better when it fits your face firmly. This will prevent the rays from entering through the sides. The center of your eyes should also be in line with the center of the lens. Comfort also matters. So you need to choose a pair of sunglasses that will fit snugly but not too tight for comfort. Unfortunately, you may not be able to do this assessment if you prefer to order it online. It will probably be a good idea to pick it up in a physical brick-and-mortar store. Sunglasses come in different shapes of lens. You can get wraparound, wayfarer, cat eye, aviator, and many more shapes. 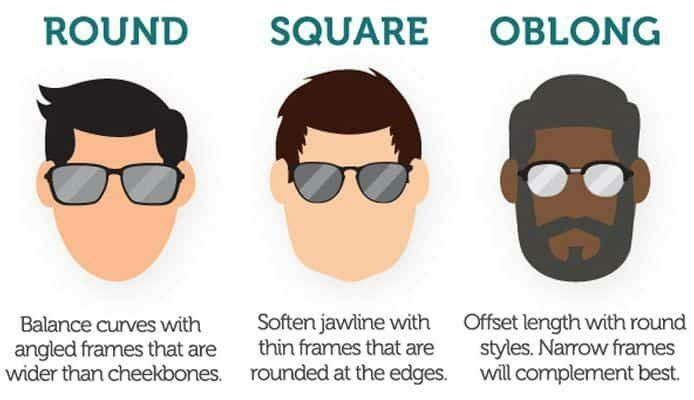 If you are buying your sunglasses specifically to shield you from sun rays, the wraparound style should be the best but it does not look good on some faces. This is because different lens shapes look better for different shapes of face. You need to select the lens that befits your facial features and also blocks off the harmful rays of the sun. This borders on the lens of the sunglasses. 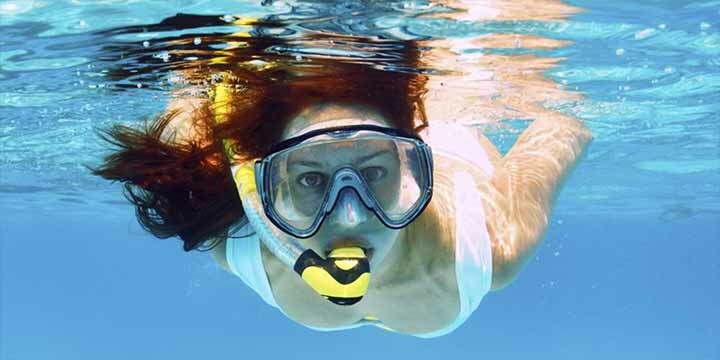 There are different types of lenses with varying level of protection. There is a common myth that darker lenses after better protection. This is a big myth. Being tinted has nothing to do with the level of protection any glass lens offers. So, you need to make enquiries about the level of protection a pair of sunglasses offers before picking it. You definitely want to go for 100 percent protection. The lenses of sunglasses are usually made of different types of plastic. Some plastics are stronger and more resistant to shatter than others. CR-39 is a plastic known for being shatter-resistant. So, you may ask for the sunglasses made of CR-39 lenses. Different tint filters light differently so you should choose the one that will be more useful for you. Grey-tinted lenses are great for driving because they reduce brightness and prevent color distortion. Brown and amber lenses may not be the best for driving but they reduce glare and blue light. Gradient lenses are darker at the top lighter at the base. They block sun rays without necessarily darkening wearer’s view. Unfortunately, you may not find a particular pair of sunglasses that is better than others in all your terms. For instance, the pair of sunglasses that has the strongest lenses may not fit your face firmly. So, you may need is prioritize your requirements. However, the best sunglasses for men after all the qualities mentioned above considerably. 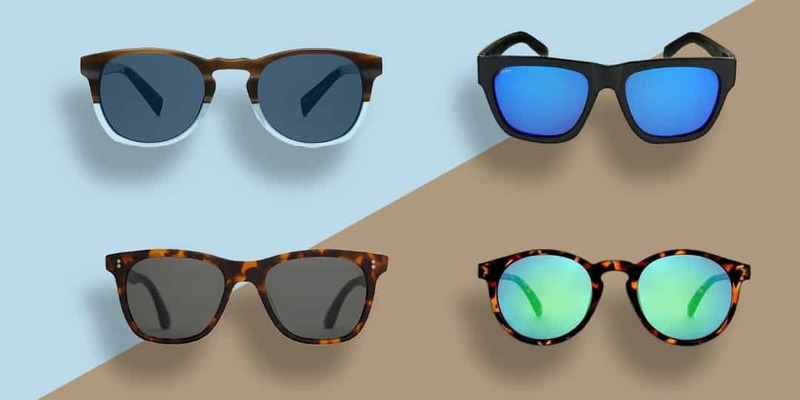 Just because the main purpose of sunglasses is to protect your eyes from UV radiations, it does not mean that you have to settle for boring designs. We hope that this article has given you some great ideas that you can use the next time you want stylish yet durable sunglasses.